Molly's is owned by a local family, born and bred in Lancaster, who have years of experience and a love of great hospitality. 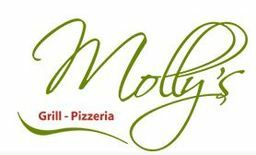 They are incredibly excited to be working with the brilliant team at Molly's including manager Stephen O'Brien and chef Sam Grundy. Testimonials are curated by Molly's Grill - Pizzeria and are not independently reviewed or verified. "Just had a lovely lunch at Molly's. Didn't know about you before today but will be recommending you to friends from now on." "First time here and was excellent - food, service the lot thank you !!"